"Our logistics cost is very high. It is 18 per cent. It is easy to take any material from Mumbai to Dubai or from Mumbai to London, but it is very difficult to take material from Mumbai to Delhi as it is costly and complicated... We want to give highest priority to that on how we can reduce this cost," Nitin Gadkari said. 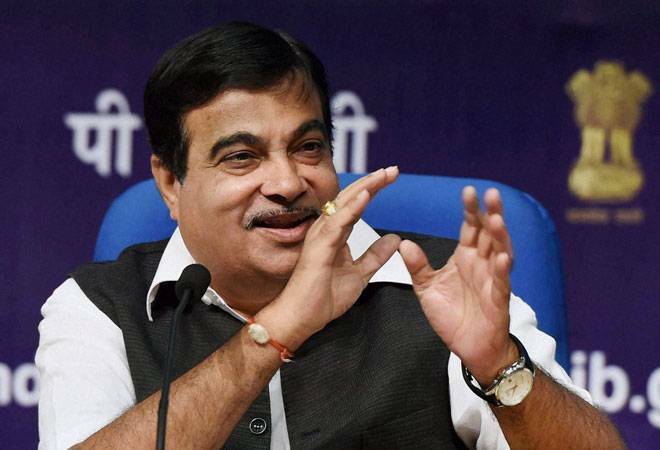 Government is working on boosting infrastructure, particularly ports, roads and waterways, to significantly reduce logistics cost that is "very high" in the country, Union Minister Nitin Gadkari said today. He made a pitch for port-led development which is "crucial" for higher economic growth. "Our logistics cost is very high. It is 18 per cent. It is easy to take any material from Mumbai to Dubai or from Mumbai to London, but it is very difficult to take material from Mumbai to Delhi as it is costly and complicated... We want to give highest priority to that on how we can reduce this cost," he said. Speaking at the Andhra Pradesh Investors Summit, the road, transport, highways and shipping minister hoped that the target 40 km of road construction per day will be achieved by next year. "It was 2 km per day, last year, it was 18 km per day and by the end of this March, it will be 30 km per day. But our target was 40 km per day, and I am confident that next year, we will complete that target," he said, adding that the government will complete 2 lakh km National Highway on time. By December-end, he said the ministry has finalised contracts worth USD 80 billion. About ports and shipping, Gadkari said contracts worth Rs 1 lakh crore have been finalised to give a push to the sector. "Most important for our development is port led development... we have Sagarmala as a big investment project. We have already started work on Rs 1 lakh crore," he disclosed. Last year, the three flagships -- Cochin Shipyard, Shipping Corporation of India and Dredging Corporation -- recorded profit of Rs 6,000 crore and "for this year, we are expecting profit of about Rs 7,000 crore and we are going to invest this profit". Essar Ports CEO and MD Rajiv Agarwal agreed, saying infrastructure development is key to growth and the sector needs "cheap finances to develop that". "What we need is cheap finances... We should need infrastructure as something like defence because it is so important to give quality living to our people and take India to a stage of developed nation," he said, adding that there should be no roadblocks on land or environment for infrastructure development. Agarwal put the estimate for India to develop infrastructure at trillions of dollars and "we need to remove all the roadblocks to get that money".